The Barco R9801216 Standard Zoom (High Resolution) (EN41) is an optional lens for the following Barco projectors: the CRPN-62B, the CRWQ-62B, the CRWQ-72B, the CRPN-52B, the FS35 IR series, the F35 series, the FL35 series, and the FS33 IR series projectors. 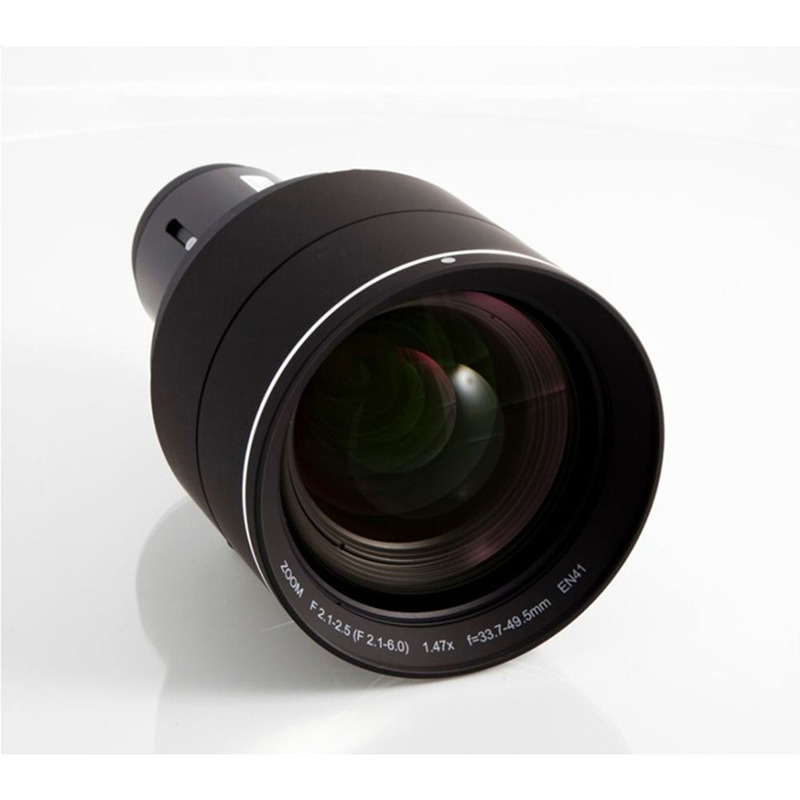 This standard zoom lens has a focus range of 1.5 - 15.0 m, and a focal length of 33.7-49.54 mm. Extended focus range is available, please contact sales for details.